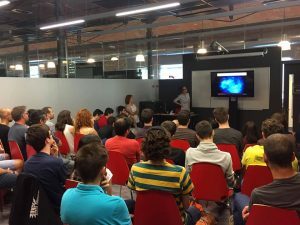 Last june we attended the first meeting of “ViGiLIA” (videogames of Girona). We could present our music to our colleagues. There were developers, artists, programmers and we could knowledge the latest news and projects. That was the first of hopefully many more to come, so everyone is informed and there is total communication and ideas shared between all of us. Thanks to the organizers and see you on the next one!